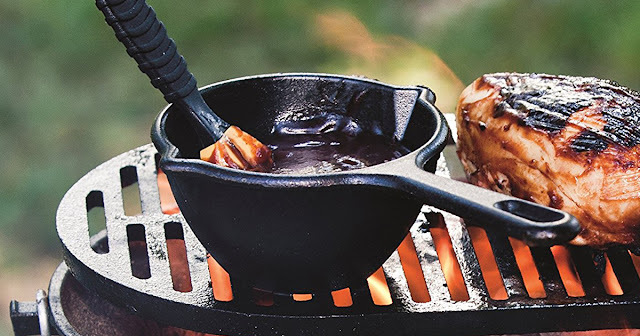 Head on over to Walmart.com or Amazon.com (ships w/ $25 order) where you can score this Lodge Pre-Seasoned Cast Iron 15-ounce Melting Pot for only $8.83 (Retail $18). This compact melting pot is safe for the oven, stove top and campfire cooking. It is pre-seasoned with a baked-on vegetable oil formula to provide a nonstick surface and the cast iron handle with loop makes it ideal for hanging when not in use.